Everyone has a scientist in them, and everyone is curious about almost everything they see. Such curiosity is the reason for Science themed slot machines to be so popular among players of all ages. 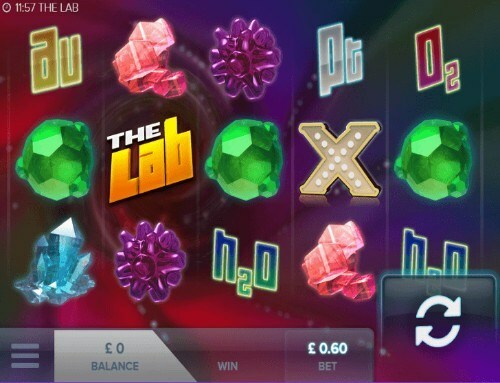 As there are a myriad of science themed online slots you may find it hard to select the ones that appeal to you in its layout and features. Here we have listed 5 Science slots for your reference, based on many factors such as graphics, layout, rewards, and ease of play among many others. We have also taken in to account user comments so that the selections will be more realistic when it comes to players’ liking. We invite you to check them out, and give us any feedback if you would have. Do not put on your safety gear before you enter the lab because the RTP there is an above average 96.30% which would expose you to a high level of winnings. There are many elements and molecules that spin as symbols that create winning combinations on 15 paylines. There are Free Spins and Extra Reels to increase your chances of winning while you get the famous winning strategies namely Jumper, Leveller, and Booster Elk Studios has incorporated in their video slots. Armed with 30 paylines to reward you this 5 reel slot machine comes with entertainment and bonus features. The RTP is 96.1% which is rewarding enough for the amateur player as well as the veteran. The Spreading Random Wild carries a multiplier which is increased by 1x with every additional multiplier which can go up to 5x. 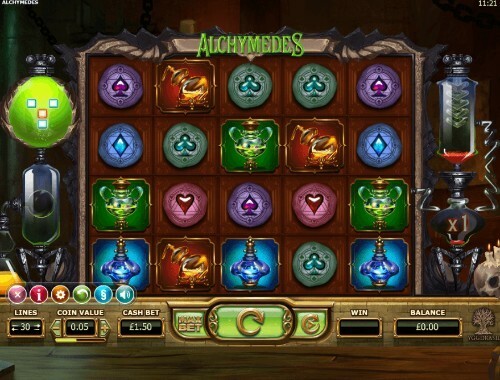 The Alchymedes slot Scale will appear at the end of each level and let you choose between a Multiplier Potion or a Wild Potion. There is also a Bonus Feature which Multipliers, Patterns, and up to 2000 coins. Everything is made of elements. 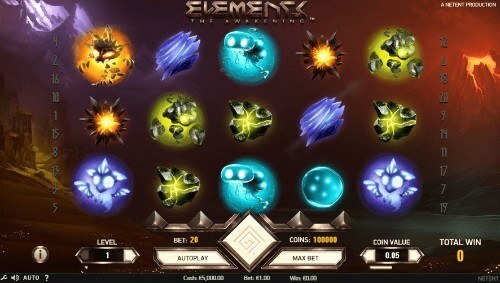 But the Elements slot will take you to a distant world somewhere in the universe where elements would spin bringing you luck. Coming with the excellent graphics are the great features that reward you at an RTP of 96%. There are 4 kinds of Wilds in this game but the main event is the Jackpot of 150,000 coins. There is also the Avalanche Feature which would award you Free Spins when the corresponding meter fills up. This is a futuristic slot game that comes with robots and science as the themes. There are 40 paylines creating winning combinations on the 5 reels and 3 rows of symbols. You can get up to 16 Free Spins to win more in addition to the healthy prizes in the base game. The Wild replaces all regular symbols and it also carries a prize of its own when you land 2 of them or more, topping at a generous 4000 coins for 5 of them. 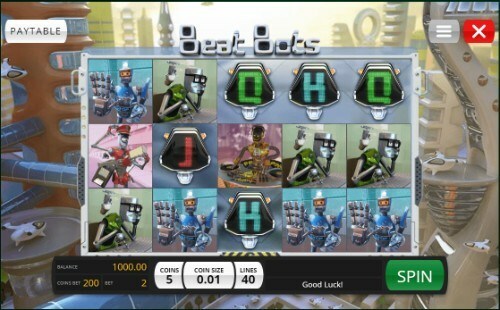 Beat Bots slot game also offers an Extra Wild which comes in to action during the Free Spins. Enjoy rock music of Lyra and Erion at a distant world until the elements shatter themselves in this science themed slot coming with an RTP of 96.63%. 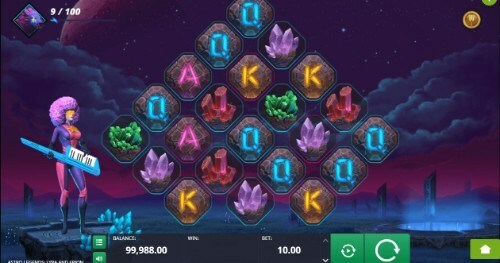 Stakes ranging from a mere £0.01 up to £10, this could be the perfect science slot for entertainment. Sonic Respins assures extra chances of a win while the Stardust Collection would turn Lyra in to a wolf awarding cash and multiplier rewards. Astro Legends: Lyra and Erion slot game definitely deserves a place in our list of top 5 science themed slots.